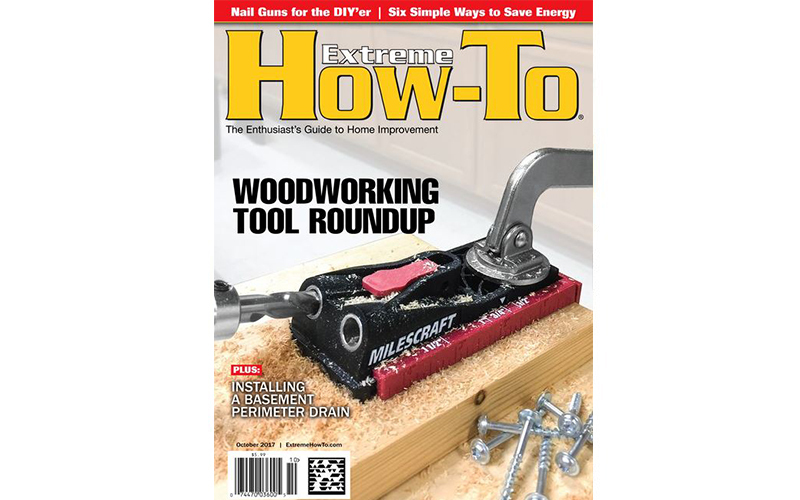 Check out the WORX Ai Drill and Driver in the October issue of Extreme How-To Magazine. The Ai Drill is featured in the magazine’s Woodworking Tool Roundup. To get a look at the WORX Ai Drill visit worx.com. Advanced intelligence can be defined as the capability of a machine to imitate intelligent human behavior, and that’s just what the Worx engineers had in mind when they developed the Ai Drill. The new Ai Drill three drive modes including Drill, SafeDrive and PulseAssist, which are activated by touch sensitive keypads the top of the drill. The Worx Ai Drill has no clutch settings; it relies entirely on the tool’s internal electronics to safely drill holes, drive and remove screws regardless of the work material. When SafeDrive is selected, it delivers just the right amount of torque necessary to drive the screw and then backs off once the screw head is flush with the surface. With PulseAssist, the Ai Drill applies enough bit rotation to drive the screw snug to the surface without over tightening or stripping the screw head. This feature also works in reverse to back out stubborn screws without damaging the screw head. The drill moves at a slow, optimal speed so it doesn’t strip screws. BitLock is also a key feature: Load a drill or driver bit into the tools chuck, and its motorized jaws not only tighten but self-center the bit, and does it with 30% more torque than hand tightening. The WORX culture is one of constantly pushing the envelope in a quest for innovations other companies don’t dare to pursue. Our engineers sought to usher in the wave of cognification in power tools – where artificial intelligence and software make tools easier to use and completely transform how tools are designed and built.